This Industrial Fiber Optics kit "favorite" may have earned more high grades and scholastic honors for student science projects than any other. For students and experimenters alike, the Optical Voice Link is the ideal introduction for those first learning about the marvels, mysteries and science of light transmission through optical fiber. There is something fascinating, indeed, about hearing your own voice, after it has been converted into light and then coupled into, through and out of an optical fiber. 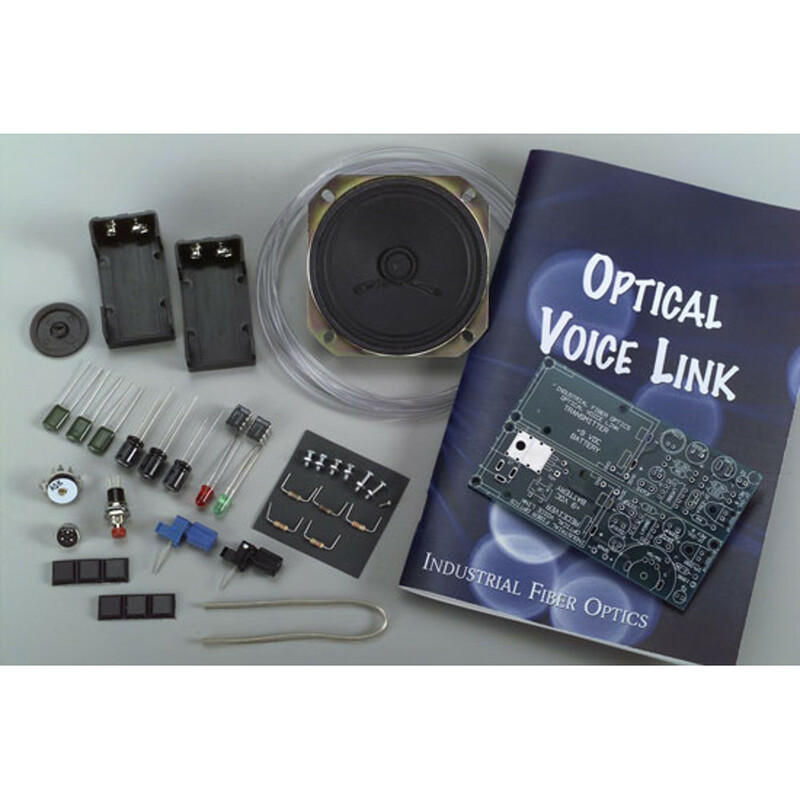 The Optical Voice Link is designed to meet a wide variety of educational, commercial and industrial applications, including: Science Projects, Home Projects for Hobbyists, Short Audio Fiber Optic Curriculum for Schools, Inexpensive Classroom Demonstrations, Hands-On Practical Industrial Training and Voice Transmission in Critical Electrical Isolation Applications. The Optical Voice Link can be extended up to 60 meters. 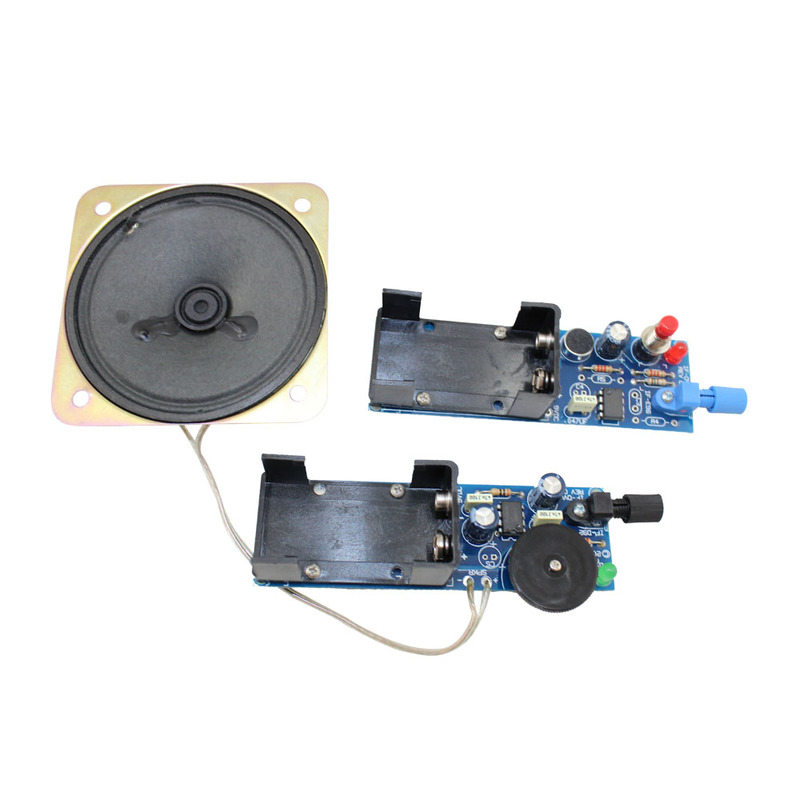 Kit Includes: Printed Wiring Boards, Switches, Electronics, Microphone, 8ohm Speaker, Three Meters of Plastic Fiber Cable, an Uncomplicated Tutorial and Step-by-Step Assembly Instructions. No prior Fiber Optics experience, special tools or training are needed to build, use and enjoy the multiple applications of this kit. Some experience with soldering is recommended for completion of the unassembled version.